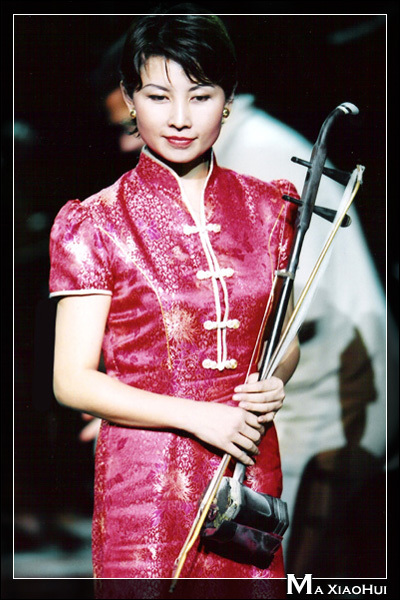 Erhu soloist Ma Xiaohui visited Washington, DC for two weeks in November, 2007. She made four public appearances and her visit was covered extensively by Chinese and American press. Ms. Ma’s first appearance was at the George Washington Symposium on Nov. 2, at Mount Vernon, George Washington’s home. 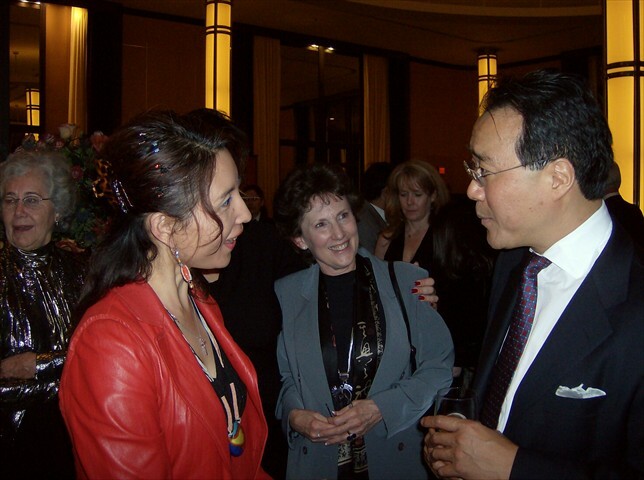 The music of the White House was the topic, and she performed music of Ellington and Kreisler, illustrating the links of President Nixon and Isaac Stern to the development of Chinese-American relations. Her final appearance was at the GMU Center for the Arts with the American Youth Philharmonic, Luis Haza Conductor. 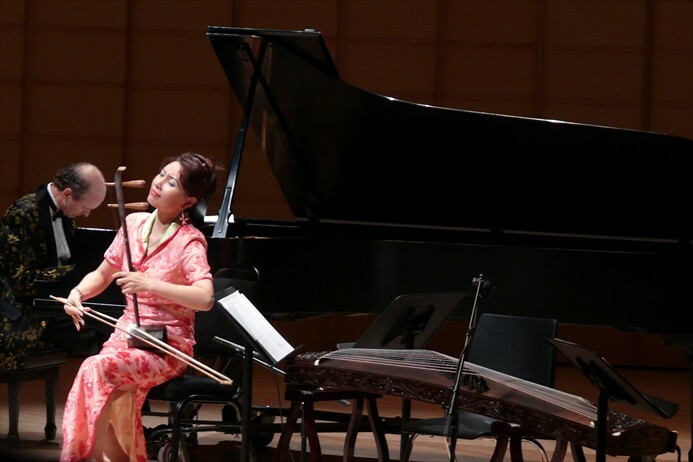 Repertoire included her composition, “Spirit of My Erhu”, “Shepherdess in the TianShen Mountains” and “Horse Racing in the Grasslands”. The encore was the Love Duet which she had performed in the movie, “Crouching Tiger, Hidden Dragon” with Yo-Yo Ma. The cellist in this performance was again Christopher Hsing. Attendance: 2,000, the largest AYP attendance in its 30 year history. 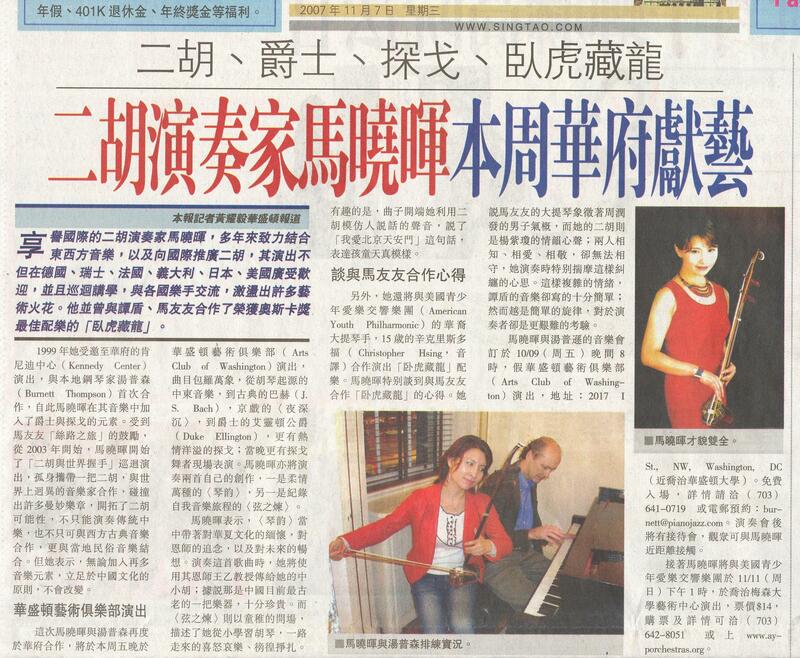 WPFW Radio featured Ma Xiaohui’s recordings on Tom Cole’s G Strings show on Nov. 4 and Nov. 11. 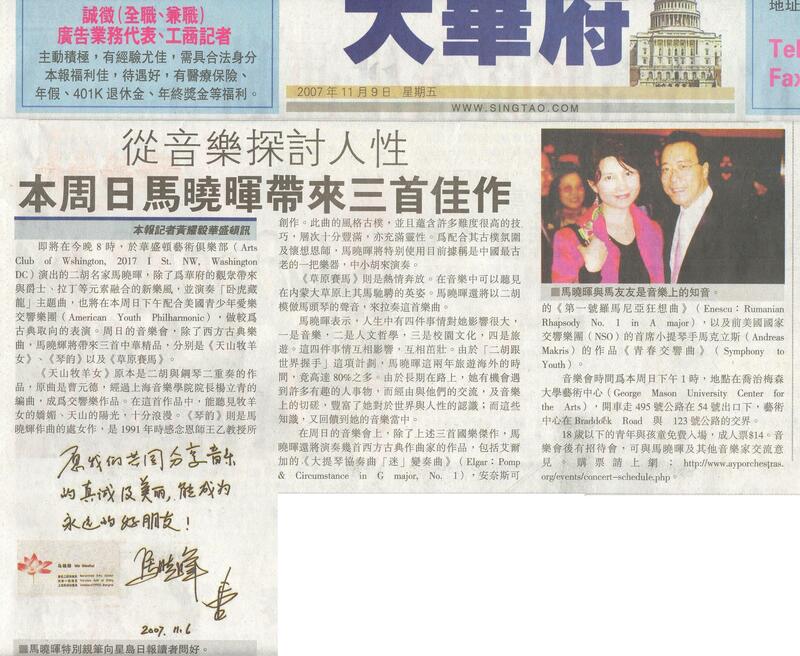 The World Journal wrote a feature article and the Washington Chinese News also posted a feature. All of her performances were filmed for an upcoming documentary feature. More to follow on that subject.